Exposing Fear-Based Copyright Settlement Factories. 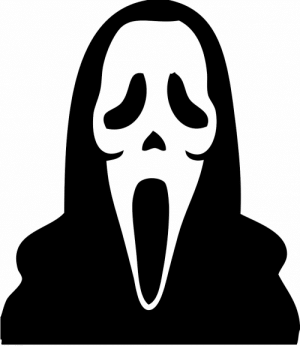 FEAR should never be a consideration when considering a copyright attorney to defend you against a Strike 3 Holdings, LLC (or, Malibu Media, LLC or any other copyright troll) lawsuit. Thus, I have nothing wrong with answering your questions and directing you to an attorney who is competent to take your case. We have never taken a referral fee from an attorney, nor do we ever plan to. I hope you can appreciate this, even if after speaking to me I was not going to be your attorney. I have only good things to say about EFF, and I support them 100% on so many of their efforts. I am about to criticize their Subpoena Defense List, but this does not reflect the respect, admiration and support I have always had for them. One resource that copyright infringement defendants often find is the EFF Subpoena Defense list. On this EFF.org list, there are possibly now hundreds of attorneys who can represent you in your John Doe-based copyright infringement lawsuit — many of them good attorneys who I have known for many years. NOTE #2: Just because an attorney is new does not mean that he or she is unable to take your case. I am merely demonstrating how much this list has grown since 2010. EFF does not appear to filter this list, or at least they do not filter out attorneys who harm potential clients with misinformation. If an attorney states that they will represent clients in a certain state, they will list them without vetting or verification. Case in point — some attorneys list themselves as taking clients in multiple states. Any attorney can represent a defendant in any federal court in any state, as long as that federal court allows an out-of-state attorney to “pro hac” into that federal court (most do). It is deceptive for an attorney to indicate they are licensed in a particular state in which they are not licensed to practice law. The EFF Subpoena Defense list size has also grown exponentially. In 2010, this list contained a list attorneys who agreed to proactively defend clients in these cases (of those listed, 20 of us were active in this space); back then, the purpose of the EFF list was to hash out the law of copyright infringement as it applied to bittorrent-based copyright infringement lawsuits. Now, the list contains HUNDREDS of attorneys who are trying to capitalize on the hundreds of defendants who are sued in the federal courts each month, without regard as to who is a credible attorney and who is a settlement factory. The EFF Subpoena Defense List has become populated with attorneys 1) who are not familiar with the case law we have developed over the years, 2) who do not care whether a defendant SHOULD pay a settlement or not, and 3) who often MISREPRESENT the law to potential clients who call them desperate for help. These settlement factory attorneys threaten accused defendants… even with JAIL time for a CIVIL lawsuit, when any attorney should know that copyright infringement lawsuits are CIVIL lawsuits — at their worst, they ask a defendant to pay money damages or they stop a defendant from committing a certain act — they do not accuse a defendant of committing a crime. Unfortunately, over the years, I have found that there are a number of “settlement factories” on this list, one more was exposed to me this morning. I do not plan on making this article yet one more article identifying copyright settlement factories and their tactics, nor do I expose the names of other attorneys who have some brilliant and smart sales tactics to lure you in. As you see — I do not post on this website often, nor do I maintain a hype-based, fear-based website on who is suing who in what state. When you speak to a defense attorney about your copyright infringement lawsuit, 1) that attorney should inform you of the nature of the lawsuit, 2) they should inform you of the claims against you, and 3) they should provide you all of your options on how to defend yourself (even those options which do not profit that attorney). If that attorney cannot assist you, he or she should not take you as a client (only to surprise you later telling you that you must settle, or else). Rather, he should refer you to an attorney who can assist you. And never — NEVER — should that attorney misstate the law or threaten a client with fear-based tactics or veiled threats that a certain plaintiff attorney will do something that they would not ordinarily do. I’ll stop here. In short, look up the attorney you are considering to retain as your attorney to represent you in your lawsuit. Do not be fooled with crafty sales tactics or web site blog articles written as soon as a lawsuit is filed. Ask yourself when viewing an attorney’s website — is he trying to ensnare me to become his client? Did he have to pay per click for me to click on his website (we too have done AdWords campaigns over the years, but only rarely). Usually, a settlement factory will always have an extensive Google AdWords campaign going, or they will position their website [either by explicit payment, by posting keyword-based useless content, or by posting alternative media, e.g., animations and videos to separate their multimedia ads from the other attorneys who are writing helpful content on the website] so that they show up at the top of every search engine ranking for every keyword). Lastly, just because an attorney does not have an extensive blog [like we do] does not mean that they are incompetent about your case. There are a number of credible attorneys who I trust, and they do not have blogs. If I cannot assist you or represent you myself, I will happily refer you to an attorney, even if he or she only has a one-page website. This attorney might be better than all of those copyright settlement factories who post with tags and keywords every time a lawsuit is filed in a particular state. Your consultation with an attorney should be a pleasant experience. I guess it is important to mention that the conversation with your defense attorney should be a pleasant conversation. You should feel better about yourself and your case when you hang up the phone, and when you do, you should feel as if you were educated about your case and your options. If an attorney has scared you, or has threatened you by what the plaintiff attorney will do or could do, or if the attorney has told you that your only option is to settle the claims against you (especially if you did not do the download), he is likely not the attorney for you. Even the worst case scenario in these cases is a civil judgement against you, which are money damages. Nobody will ever take away your freedom, and nobody will ever put you in jail for downloading materials which are the subject of these copyright infringement “John Doe” subpoena-based lawsuits. Rightscorp business model of sending DMCA settlement demand letters just succeeded. Rightscorp‘s business model just took an unexpected positive turn, as the BMG v. Cox lawsuit just had a surprising outcome — Cox just settled with BMG, paving the way for the DMCA settlement demand notices to gain some teeth. Years ago, I wrote articles about companies like Rightscorp (Digital Rights Corp), CEG-TEK, and Rights Enforcement who were changing the “playing field” (in a bad way) by allowing copyright owners to track and sue downloaders who downloaded their copyrighted videos, films, movies, adult films, or music using bittorrent. that the account holder could forego a potential copyright infringement lawsuit in a federal court by vising the website of the Rightscorp (Digital Rights Corp) copyright enforcement entity, paying a small fee (from $20-$30/title [or with other copyright enforcement entities, from $300-$750/title]), thus settling the claims before a copyright infringement lawsuit was filed. The obvious problem is that by the time the account subscriber received the settlement demand notice, the Rightscorp or CEG-TEK or Rights Enforcement entity racked up tens, or sometimes hundreds of violations. Then there were class action lawsuits against the copyright enforcement entities (e.g., for robocalling) and other “bad things” that these companies did to maximize their per-title settlement. However, for years, these entities have been quiet, and I know why. BMG v. Cox Communications. I was told years ago that the success of the “copyright trolling” settlement demand notice business model would be based on whether a copyright holder could force an ISP to 1) forward their DMCA copyright infringement notice (a.k.a. “settlement demand letter”) to their subscribers, and 2) whether a copyright holder could force an ISP to shut down a repeat infringer’s account (something Rightscorp was accused of doing in 2014). At the time, there was the “Six Strikes” system in place (now, I understand it to be defunct), and under it, Comcast stopped forwarding the “settlement demand letter” portion of the infringement notices; rather, they forwarded just a snippet of the infringement notice telling the account holder to stop downloading illegal content. However, there were also ISPs who stopped forwarding the notices altogether. To the dismay of various copyright enforcement entities, I understand that Cox Communications was one such ISP, although the BMG lawsuit appeared to stem from Cox refusing to shut down the internet accounts of repeat infringers. Further, COX Communications provided their subscribers ONE STATIC IP ADDRESS, which meant that whatever the downloaded did in the past (whether the downloader was caught, tracked, or not), could be later attributed to the accused account holder to multiply the list of infringements. This love-hate relationship between the copyright holders, the ISP, and their customers was only temporary, and as a result, COX Communications found itself at the center of a lawsuit for protecting its customers against copyright enforcement entities such as the RIAA and Rightscorp. Fast forward a few years to today. The “new” news is that the BMG v. Cox Communications lawsuit has been going on and on, but it appears that in the past few days, it has come to an end. Apparently Cox settled with BMG, awarding a “win” for the copyright holders. The question is… was the settlement only a MONEY settlement? Or did Cox agree to shut down the accounts of repeat infringers? Obviously this topic is still evolving. However, whereas we at the Cashman Law Firm PLLC thought that the days of the “DMCA settlement demand letter” notices were numbered, I suspect what happened from 2010-2016 was just a first wave of what is to be an even larger wave of infringement notices to be sent to account holders for the unlawful downloading of copyrighted content. Couple this with the resistance I have received in the past from companies such as Rightscorp, this is likely going to cause some trouble. FOR IMMEDIATE CONTACT AN ATTORNEY: To set up a free consultation to speak to an attorney about Rightscorp DMCA letter or subpoena, click here. Lastly, please feel free to e-mail me at [email protected], or call or SMS 713-364-3476 to speak to me now about your case (I do prefer you read the articles first), or to get your questions answered. Revisiting Harvey for a moment, and turning our attention to Florida. Thank you. Our family is well, and our 4th Floor office was untouched by the storm (although it was inaccessible for a few days). However, I cannot say the same thing for family members and friends who had their homes flooded, where in some cases water covered half of the windows (meaning half of the houses were literally under water, both inside and out). I even saw pictures of streets not too far from me where water not only covered the streets, but almost covered the stop lights far above the street. This has chilled me to the core, because even though I have seen floods and hurricanes in Houston before (and we are known for surviving rough weather events), some of the things I saw, my eyes still do not believe. I understand that we are only slightly above sea level, but walking the streets seeing the contents of the community’s home on each person’s front lawn, I still cannot imagine or picture in my mind’s eye how water can flood so high. I know that we received five or six feet of rain, but Houston has an elaborate network of bayous and flood prevention mechanisms which would ordinarily drain heavy rains into the sea. The bayous do function well, even if they flood a foot or so. With this storm, I expected them to flood with maybe an additional 1-3 feet of water (something I refer to as “car killers,” which friends have lost cars trying to drive through). But to see streets, mailboxes, and street lights under water, and to see houses just a few miles away from me covered literally just below the roofs — this was something I never imagined I would ever see. In short, the news and the media are rightfully turning their attention to Florida, and those living there have my empathy and my support in whatever way I can help. Our Cashman Law Firm, PLLC has donated to the hurricane relief funds and each of us personally has spent most of our week helping with disaster relief. My wife and kids spent countless hours preparing meals with the Houston community for those who have been displaced, and the work, the rebuilding, and the donations will need to continue long after the media has forgotten both Houston and Florida. Why Kodi users are being sued for copyright infringement. I almost fell off my chair when I read this. Kodi users are being sued for copyright infringement?!? 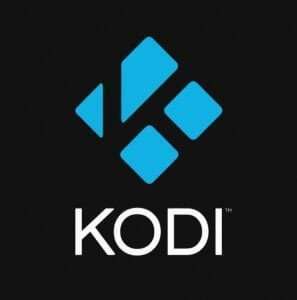 The answer is yes, Kodi users who are tweaking the Kodi software to run Kodi Add-ons which provide copyrighted movies using peer-to-peer (P2P) or bittorrent are 100% at risk of getting sued for copyright infringement. Didn’t I write many articles saying that Kodi users wouldn’t get sued? Yes. I have been watching this topic for years now on whether it is possible for someone streaming movies to get caught — not in the context of Kodi Add-ons, but in general. Until recently, the answer was “no, the copyright trolls have not yet caught up with technology, and there is no way a person will get sued for streaming movies.” Today I change my opinion, but as you’ll read, I do so cheaply because the cause of getting caught using Kodi is the fault of Kodi Add-ons developers who incorporated bittorrent into their plug-ins. Jumping ahead to 3/2017, I was searching for a common copyright troll behind each of the movie lawsuits, and I wrote a quick article entitled, “Can I Get Caught Streaming Movies Over The Internet?” My point of this article was to say, “yeah, it is possible, but unlikely that someone would get caught streaming movies,” parroting my 11/2015 article. As a response, a viewer asked me to analyze Kodi and the Amazon TV Fire Sticks, and again in 3/2017, I wrote a second article on Why I would NOT put Kodi on an Amazon Fire TV Stick“. At the time, I was still of the opinion of “you likely won’t get caught, but beware of Amazon turning you in.” Again, this opinion had nothing to do with the Kodi Add-ons, as I did not suspect any developer would create Kodi Add-ons which connected to the bittorrent networks. That would have been silly, and any developer that knew anything about piracy lawsuits wouldn’t be reckless enough to expose their users to the bittorrent networks. Then in 4/2017, the Pornhub lawsuits happened, and thinking about the lawsuit (and the way the plaintiffs went about it all wrong), it occurred to me that Google Analytics could expose an internet user to a copyright infringement lawsuit. This was possibly the first time I had the opinion that “yes, in the future, you can get sued for streaming movie content.” Again, in the future when technology advanced further and copyright trolls moved past bittorrent lawsuits. Again, no mention of Kodi Add-ons. In 5/2017, I applied this line of thought to write an update on the risks of using Kodi on an Amazon Fire TV stick, and I wrote that “there is another way to get sued using Kodi on an Amazon Fire TV Stick — via Google Analytics.” So while my answer was now “yes, you can get caught,” my thought was “just block the Google Analytics plug-in and you don’t need to worry about this.” As far as copyright trolls suing Kodi users based on these revelations, well, this was far into the future. Once again, no mention of Kodi Add-ons. What changed? How are Kodi users getting sued? What I did not anticipate is that there are a number of Kodi Add-ons which use bittorrent to provide copyrighted content to their users. Obviously if certain Kodi Add-ons are using bittorrent — and the assumption is that the Kodi user is using Kodi without a VPN — then YES! Someone using Kodi Addons which connect to streamed content via “peer-to-peer (P2P)” bittorrent networks can certainly get caught! If you use Kodi with a VPN connection, and the Kodi Addons plug-in that you enable provides content to you via bittorrent, *THEN YOUR KODI SOFTWARE IS NOTHING OTHER THAN YET ANOTHER BITTORRENT APPLICATION*. What this means is that when your Kodi Addon connects to the bittorrent, it is *YOUR* IP address that shows up in the bittorrent swarm. Thus, when the copyright troll or their so-called “investigators” download the list of IP addresses who have downloaded a particular movie, your IP address will show up. At that point you have been caught downloading or streaming the copyrighted movie without a license, and you should not be surprised if you receive a subpoena notice from your ISP informing you that you have been implicated as a John Doe defendant in a copyright infringement lawsuit. It really does not matter that you were using Kodi, because using Kodi with a Kodi Addon which downloads movies for you using bittorrent is the SAME as you downloading that same movie from The Pirate Bay using a bittorrent client. Which Kodi Add-ons use bittorrent? 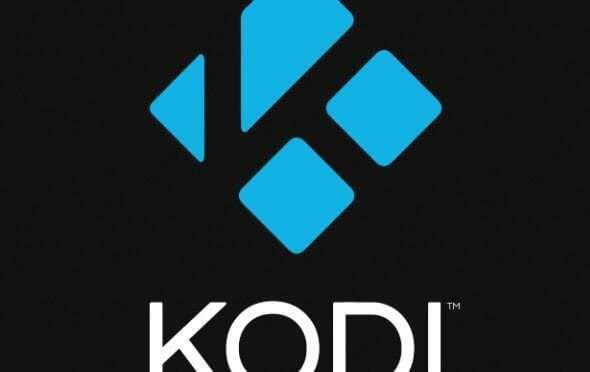 My thoughts: Kodi Addons recently suffered a huge loss after a large number of them shut down in response to a few prominent lawsuits. Thus, these addons I pasted here from Sam Cook’s article possibly no longer exist. NOTE: Obviously using Kodi to stream movies or copyrighted content was not why Kodi exists. However, for the purpose of this article, assume you are tweaking Kodi to stream movies. Before you use one of the Kodi Addons, check to see whether it uses bittorrent or some form of P2P to download content for its users. Assuming you will be using Kodi for the purpose of acquiring or viewing copyrighted movies without a license (again, not my recommendation), avoid these plug-ins and any plug-ins which connect you unwittingly to bittorrent networks. Generally speaking, if the setup or configuration of an add-on requires you to make significant changes to your environment, it’s probably to support p2p. If the setup installs and then starts showing you sources to stream from immediately without having to add/configure a bunch of extra crap, it’s just direct streaming from a web source and has no p2p/upload component to it. The only 2 I’ve seen that are “recommended” by certain people and are p2p are sopcast and acestream. anything else just blatantly calls itself “bit torrent stream” or “best torrent addon” or “p2p streams” which should all be no-go’s if you don’t already have experience masking your location. My Opinion: Kodi Add-Ons can get you sued. In sum, back to Kodi itself. It is no longer my opinion that you cannot get sued for using Kodi. If you are using one of the many Kodi Addons which connect a user to copyrighted content using bittorrent, then of course you can get sued. The reason for this is bittorrent exposes the IP address of the user who is not masking their IP address with a VPN. Personally, it is careless for programmers to make Kodi addons which use bittorrent, which is not what the Kodi software was meant to do. [CONTACT AN ATTORNEY: If you have a question for an attorney about a Kodi copyright case and options on how to proceed (even specifically for your circumstances), you can e-mail us at info[at]cashmanlawfirm.com, you can set up a free and confidential phone consultation to speak to us about your Kodi copyright lawsuit, or you can call us at 713-364-3476 (this is our Cashman Law Firm, PLLC’s number].